For all you Alanis Morissette fans who were left sort of confused about what is or is not ironic, THIS is ironic. 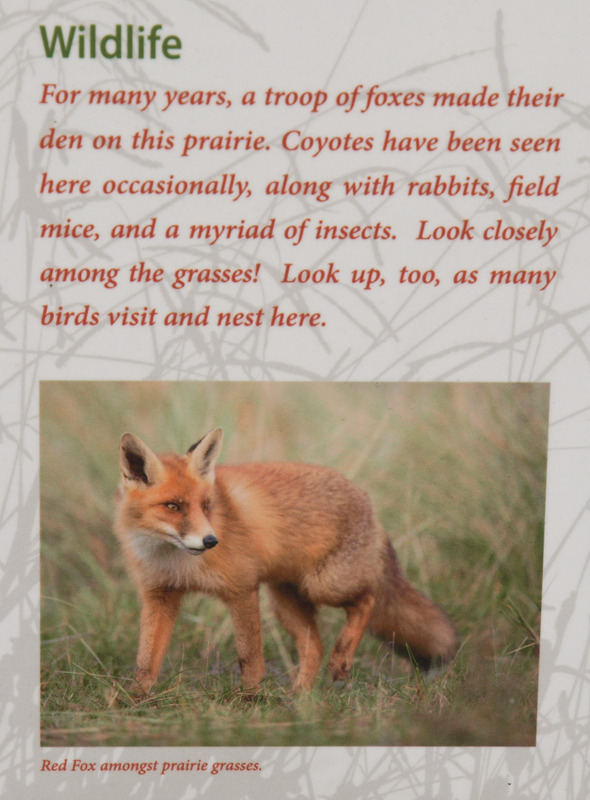 This is a new sign posted on the greenway that runs along the street across from our house, intended, I guess, to make us feel like we’re in the middle of the prairie rather than in a glorified median strip. 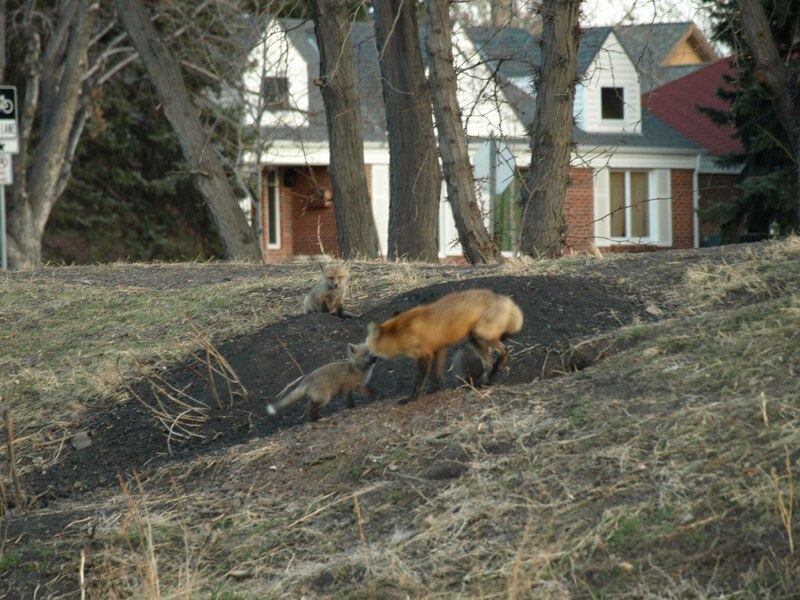 Yes, foxes “made” their home there, but the past tense is appropriate because THE CITY PLOWED THEIR DENS UNDER TO CREATE THE NEW, IMPROVED “PARK.” Here is a photo of the foxes who MADE their home across the street from us before the city undertook to formalize the area as an official piece of prairie. If you look closely in the first photo, you can see that the mother fox is nursing her kits. I miss seeing the foxes trotting along our street, or sneaking through our fence when I open the back door. In addition, since the Ironic Plowing Under, the rabbit population of the neighborhood has exploded, causing our retrievers to think they really are retrievers as they light off across the lawn in pursuit of a retreating bunny. 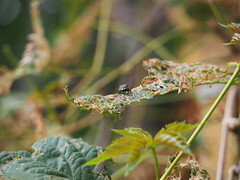 This entry was posted in My Life, WTF?! 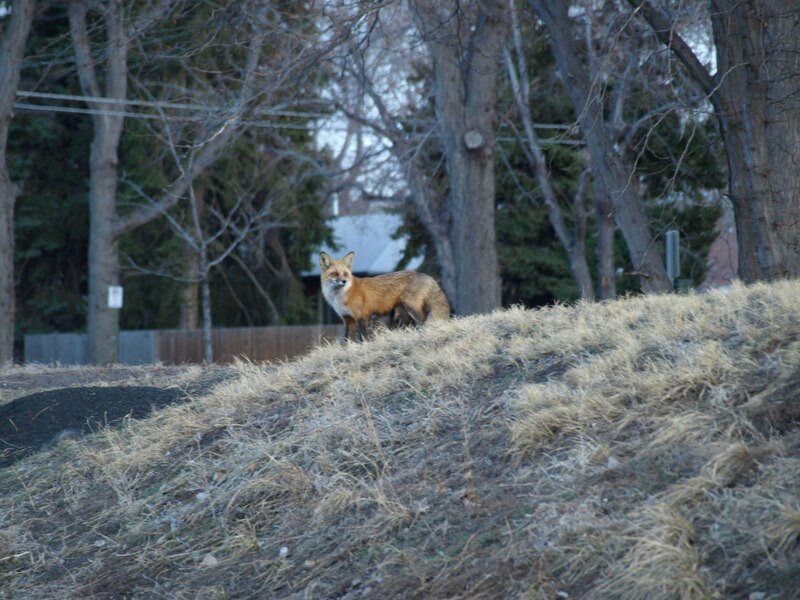 and tagged fox, fox kits, irony on October 25, 2015 by Amy Robertson.